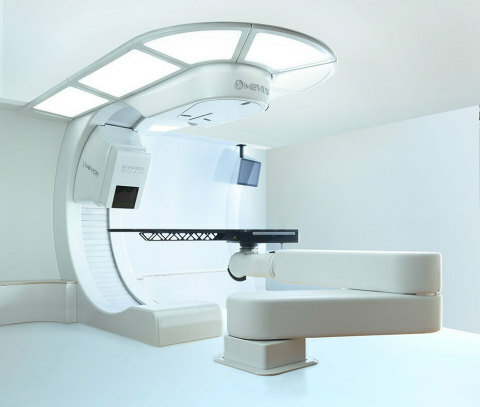 LITTLETON, Mass.--(BUSINESS WIRE)--Mevion Medical Systems announced today it has signed a contract with Allcure Kangtai Proton Technology Co., Ltd. in China for the purchase of a MEVION S250i Proton Therapy System® with HYPERSCAN® Pencil Beam Scanning technology in late December. This was the fourth system sold by Mevion in 2018 and the first sale by Mevion in the Asia-Pacific region. As the global leader in compact proton therapy systems, Mevion was the first company to innovate this new approach to proton therapy and continues to transform the industry and patient care with HYPERSCAN Pencil Beam Scanning. Cleared by the FDA in 2017, HYPERSCAN improves on existing scanning capabilities to deliver conformal fields of therapeutic radiation therapy to tumors faster and with more precision.